As the largest purveyor of JIRA classes outside of Atlassian, we are as keen as anyone on their plans for the future after the round of press releases and articles related to JIRA, Atlassian’s value, and a possible IPO. The news and reporting around Atlassian of late has been pretty intense, confusing, and possibly alarming. Atlassian has a long history of being a quirky, pleasant, and technically excellent company. They just announced that they were the the #2 best company to work for in the US and #1 in Australia. Meeting their employees and listening to how they feel about the company leaves you with a very positive impression. Watching “Ship it” at the end of each Summit also demonstrates another amazing attribute of the culture, innovation. “Ship it” is an internal 24hr hack-a-thon that happens at Atlassian every quarter. 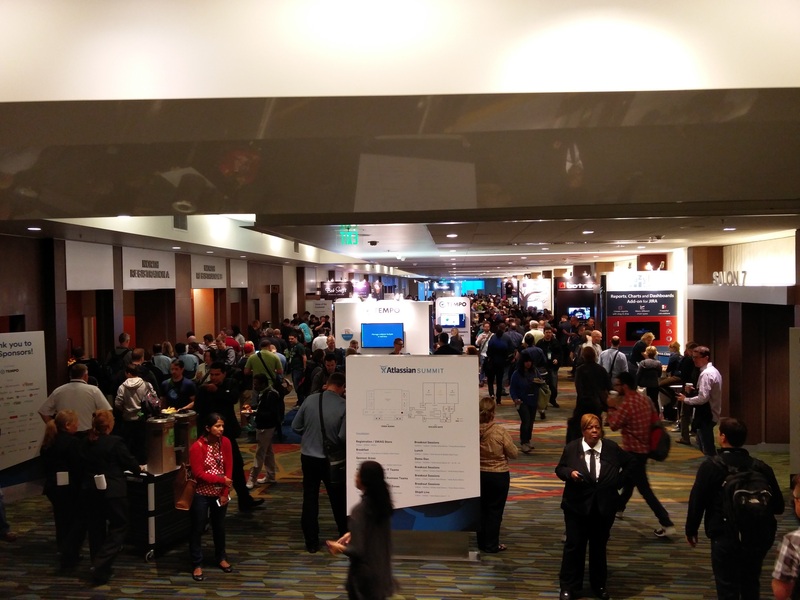 At the end of Summit they bring the best projects for the previous year and have them present to the attendees. The attendees then get to vote on their favorite (barring a voting malfunction). It is not unusual for many of the projects to already be available in the Atlassian Marketplace. I believe that was the case for three of the projects this year. Atlassian has communicated to its employees that the team matters; that each employee is important and can add value. They have communicated the expectation that their employees will have fun and be creative. The big looming question is, can this culture remain if the company goes public? The founders of Atlassian as recently as last year were discussing their 50 year plan for the company. Talk like that was missing from the stage this year. 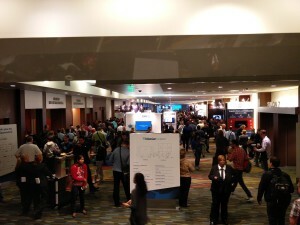 I could still hear it being discussed on the show floor, but not in the main keynotes. I honestly got the sense that they knew this could be their last event together and it had a “retirement party” sort of feel. Lots of talk about accomplishments, video snippets and photos of their early years, etc. All that was missing was a toast, a roasting and a gold watch. Now this does not mean they will cash that billion dollar check and ride into early retirement. There are many paths that can be taken from this point forward. There are examples of companies that have successfully navigated the transition and kept their culture intact. Southwest Airlines (I am on one their planes coming back from the Summit in San Francisco as I write this), is a prime example of this. JIRA Software – What we have historically known as JIRA + Agile, to be used by development teams. JIRA Service Desk – Formerly a plugin and now a stand alone product. JIRA Core – A new product based on JIRA that is streamlined for non-software use. The three versions can be confusing enough but their delivery to the marketplace, while sensible, appears to me to fraught with opportunities for buyer confusion. I will do my best to explain. If you own JIRA Software you already have JIRA Core. When you load version 7.0.0 on any platform (Cloud, Server, Data Center) you have new project templates available to you. With version 7 they added a new Project Category to bundle projects for Software and Business into different groups. 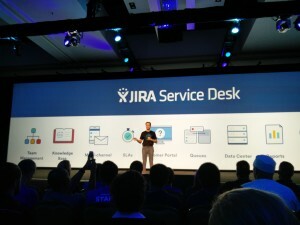 JIRA Service Desk is now a standalone project. Sort of. You can certainly buy JSD separately and install it on a server by itself. If you own JIRA Software and buy JSD you can also run it right on the same server. If you own cloud then JSD will simply show up for you, all nicely integrated. Clear as mud. JIRA Core and JIRA Software both can be deeply customized in the traditional way you edit schemes, workflows, fields and screens. 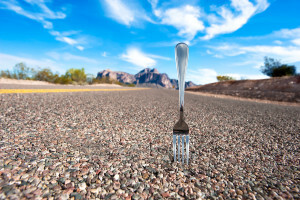 The base projects provided as a part of JIRA core are extremely simplistic and I wonder if customers will be a little frustrated at the overly basic nature of the setup. Following are the various permutations of products users can own. A bit confusing for those of us that make applications that work with the JIRA API. JIRA Portfolio? The product was missing completely from the keynotes. Odd after such an emphasis the last year. It will be interesting to watch Atlassian sort through these challenges. If it were not for the looming IPO I would not have much concern. They have proven adept at improving products very rapidly and moving out of awkward situations with aplomb (HipChat anyone?). They can still do it but launching on a public or private offering would clearly run the risk of a dangerous distraction. Distraction is not what is needed when rebranding and relaunching your core product, you need intense focus. The Summit was fantastic and Atlassian is an amazing company. Lets hope we say the same of them this time next year.